IARM was founded in 2012 by Dr. Tony Humphreys, Consultant Clinical Psychologist, Author, Lecturer, National and International Speaker and Dr. Helen Ruddle, Psychologist and Author, together with qualified U.C.C. Graduates experienced in the area of relationship mentoring. The aim is to support and guide the professional practice of the University-accredited Relationship Mentors. IARM provides professional validation, an ethical framework, support for on-going deepening of conscious awareness, and an assurance for the public of on-going ‘fitness-for-practice’ of qualified Relationship Mentors. Mentors have graduated from University College Cork with a Higher Diploma in Relationship Mentoring (NFQ8) (which incorporates the original two year Diploma in Parent Mentoring (NFQ7). 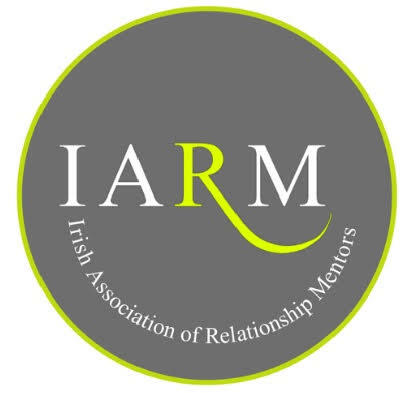 IARM provides Members with advocacy, representation and support in the practice of Relationship Mentoring, as well as an opportunity to improve the Standards and Quality of Relationship Mentoring and Education in Ireland. IARM welcomes members from across the profession, including Workers, Managers, Educators, and Students. Members of IARM are governed by ethical standards of practice with Continuing Personal Reflection; Shared Vision and continuing deepening of conscious awareness, seen as crucial elements for ‘fitness-to-practice’. We welcome members from all sectors involved in therapeutic practice to join IARM. Find out if you are eligible and how to join, by contacting IARM.